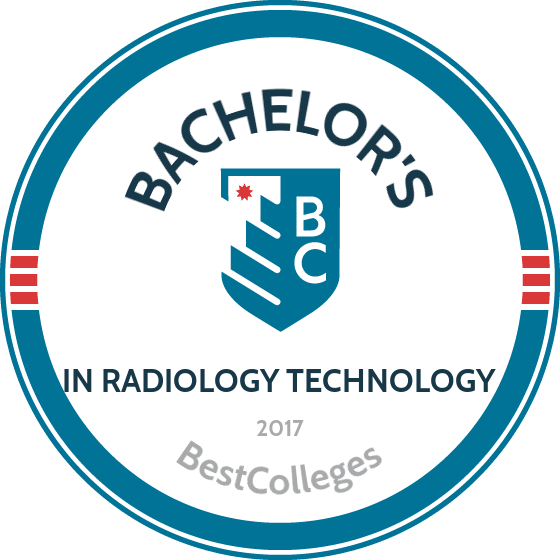 What Are The Best Online Bachelor's in Radiology Technology Programs? What Will I Learn in an Online Bachelor's in Radiology Technology? A career in radiology takes full advantage of technology's growing capabilities to uncover medical solutions with unprecedented accuracy and precision. According to the U.S. Bureau of Labor Statistics, the job market for radiology technicians (radiographers) and MRI technologists will grow 9% from 2014 to 2024. The radiologic sciences involve pinpointing the root causes of injuries and ailments using developing technologies that were not available until relatively recently. A bachelor's of science in radiologic technology provides opportunities for students to enter the medical field as radiographers and helps working professionals expand their career opportunities. Many schools offer these programs online, for education that fits into any lifestyle. The Oregon Institute of Technology is the Pacific Northwest’s only public polytechnic university and was founded in 1947 near Klamath Falls. OIT offers an array of online programs, including an online bachelor of science in radiologic science program. The curriculum includes coursework in MRI, CT, mammography, QA/QC, and CIT. Graduates are prepared for master's programs in radiology, business, and education. This fully-online radiology tech degree prepares radiologic technologists for greater career opportunities. The curriculum combines essential knowledge in medical imaging technology with business-analysis aspects of the field. A GPA of at least 2.25 is required of transfer students; if the student attended more than one college, the GPAs from all of them will be averaged. The Oregon Institute of Technology is accredited by the Northwest Commission on Colleges and Universities. Applicants must be employed in radiology or have full access to a properly equipped laboratory. The University of Missouri, founded in Columbia in 1839, serves as the center of operations for the MU System and for on-campus and online learning. The school offers an online bachelor of health science in clinical and diagnostic sciences with an emphasis in radiologic science program. The program is offered completely online in an asynchronous format. Learners must earn at least 120 credits to graduate; transfer students usually only have to earn 30 credits. This is a degree completion program. The curriculum includes courses in clinical ethics, CT physics and procedures, MRI physics and procedures, and radiologic pharmacology. Students can enroll in a part-time or full-time format. The University of Missouri is accredited by the Higher Learning Commission, A Commission of the North Central Association of Colleges and Schools. Tuition awards are offered to community college graduates, veterans, and military service members and their dependents. Northwestern State University was founded in Natchitoches in 1894 and offers an array of online programs. NSU’s online bachelor of science in radiologic sciences program offers registered technologists an opportunity to complete their degree in a flexible manner. This 120 credit online radiology bachelor's degree is designed for working professionals. Learners have a certain amount of leeway allowed towards earning credit without enrolling in select radiologic science courses. The curriculum includes topics in quality management and advanced patient care, in addition to opportunities for directed study. NSU is accredited by the Southern Association of Colleges and Schools Commission on Colleges. Graduates are prepared for careers in quality management, general radiography, computed tomography, and radiology information systems. Northwestern State also offers a master's in radiologic sciences. Midwestern State University, located in Wichita Falls, is Texas’ sole public liberal arts college. MSU offers an innovative, fully-online radiology tech bachelor of science degree. Graduates have the required knowledge to earn career advancement. Graduates also have the knowledge that is required to pass the radiography and computed tomography certification exams that are administered by the American Registry of Radiologic Technologists. MSU’s bachelor of science in radiologic technology program is accredited by the Joint Review Committee on Education in Radiologic Technology. Curriculum topics include ethical concerns and professional skills. Applications must be turned in between August 1 and September 30. Graduates may be eligible for Texas licensure as medical radiologic technologists. Midwestern State offers the opportunity for students to pursue certification in computed tomography. Clarion University of Pennsylvania, founded in 1867, maintains sites in Oil City and Pittsburg in addition to its flagship location. Among a catalog of fully-online programs is an online bachelor of science in medical imaging degree completion program. Courses include intro to health care environment, research methods for health science, radiologic procedures, and radiologic physics. Clarion University is accredited by the Middle States Commission on Higher Education. The bachelor’s in medical imaging science program offers concentrations in radiologic technology or sonography. Both concentrations require students to earn at least 120 credits. The program offers a convenient and affordable path to completing a radiology tech degree online. The online program is restricted to students who are credentialed as radiologic technologists, sonographers, nuclear medicine technologists, radiation therapists, and medical dosimetrists. Saint Joseph’s College of Maine, founded in 1912, is located in Standish and has offered distance educations for more than three decades. The school offers an innovative, online bachelor of science in radiologic science administration program. This online radiology bachelor's degree equips radiologic science professionals with the skills needed to earn managerial positions in their field. Graduates are also eligible for positions as supervisors and teachers. Saint Joseph’s College of Maine is accredited by the New England Association of Schools and Colleges. The program is offered completely online and is structured for working professionals. Learners already enrolled in a radiography program at another school are permitted to take their general education requirements at SJCM. The school does not offer standalone training for radiography. The Adventist University of Health Sciences, founded in Orlando in 1913 as the Florida Hospital College of Health Services, is a private institution that specializes in healthcare education. This faith-based institution treats healthcare as a form of ministry, striving to impart a holistic view of the field in addition to knowledge of competent medical care. The school maintains a number of online programs, including a bachelor of science in radiologic sciences program. The school is accredited through the Southern Association of Colleges and Schools. The 66-credit online radiology degree is designed for technicians seeking specialization to expand their skill set for career advancement. The program offers concentrations in computed tomography, magnetic resonance imagery, and a multi-modal curriculum. Core courses include medical imaging in the digital environment and principles of quality management. Siena Heights University, a private, Roman Catholic college, was founded in 1919 as St. Joseph’s College by the Adrian Dominican sisters. The school provides postsecondary education from its main location in Adrian, Michigan. This includes a number of distance learning programs, including the fully-online bachelor of applied science in radiologic technology. The school is accredited by the Higher Learning Commission of the North Central Association of Colleges and Schools. This online radiology bachelor's program is designed for credentialed professionals who need a flexible program. Learners may take one course per eight week semester; most finish their radiology degree in under two years. The curriculum includes coursework in the social sciences and business. Students may transfer up to 90 credits. Applicants are expected to have accumulated two years of relevant experience. St. Vincent’s College, founded by the Daughters of Charity in 1903 in Bridgeport, Connecticut, provides students with an education in modern healthcare and shared values of community and leadership. The school offers a bachelor of science in radiologic science degree completion program completely online. St Vincent’s is accredited by the Office of Higher Education. This 129 credit radiology degree is offered to workers in radiologic science or credentialed radiographers. The curriculum is meant to give distance learners a well-rounded review of the humanities in addition to coursework in medical imaging, anatomy, and physics. Learners have the opportunity to choose from concentrations in women’s imaging, healthcare management, and diagnostic medical sonography. The CT and MRI course may be taken together to satisfy the degree concentration requirement. The University of Louisiana, founded as a junior college in 1931, offers a variety of distance learning programs geared towards working students with busy schedules. The school offers its bachelor of science in radiologic science degree completion program completely online. The University of Louisiana is accredited by the Southern Association of Colleges and Schools Commission on Colleges. This flexible program is offered in part-time and full-time formats. Applicants are required to submit proof of ARRT credentialing in the form of an official letter. Students are required to earn at least 68 credits to graduate. The school's department of radiologic technology has offered related programs for more than 30 years. The University of Southern Indiana was founded in 1965 and is located in Vanderburgh County. Included among the school's flexible online offerings is its bachelor's in radiologic and imaging sciences degree completion program. Students must complete 33 hours of major courses and 39 hours of university core courses. Learners must earn a minimum 2.0 GPA in all major courses. In combination with general education requirements, students must earn at least 120 credits to graduate. University of Southern Indiana’s radiology degree is accredited by the Joint Review Committee on Education in Radiologic Technology. Online radiology degree graduates are prepared for career advancement. Graduates also report a 100% job placement rate within one year of graduation. The online radiology bachelor's curriculum includes courses in image archiving/interpretation, anatomy/physiology, and procedure/safety measures. The program's small classes ensure that students will receive individual attention. This is among online radiology bachelor's degree programs that are offered asynchronously. Presentation college was founded in 1956. Along with three locations in South Dakota and Minnesota, the school offers fully online programs that are designed for working professionals. The school offers a bachelor of science in radiologic technology through its Division of Health and Natural Science. Courses include medical terminology and human anatomy and physiology. Presentation College’s program is accredited by the Joint Review Committee on Education in Radiologic Technology. Students in this online radiology degree completion program learn about medical imaging technology, including mammography and interventional imaging. A focus on computed tomography gives graduates an edge in the field. The program emphasizes communication, critical thinking, and professionalism. Students are required to maintain a minimum 2.5 GPA. Graduates are prepared for the ARRT credentialing examinations. Armstrong State University, founded in 1935, is located in Savannah, Georgia. The school offers a number of online programs, including a bachelor of science in radiologic sciences. Armstrong State University’s program is accredited by the Joint Review Committee on Education in Radiologic Technology. The 129 credit online radiology program offers a clinical and non-clinical curriculum. Clinical-track students gain the knowledge that's essential for certification in computed tomography, magnetic resonance imagery, and mammography. The in-person clinical component track requires on-campus time and can be fulfilled through another institution; all major courses are available online. Students who are already certified will take the non-clinical path, in which they will refine their skill set in management and communication strategies. Applicants must be accredited by either the ARRT or NMTCB and have earned a minimum GPA of 2.5. Marian University, founded in 1936 by the Congregation of Sisters of Saint Agnes, has maintained a reputation for following the Catholic tradition of offering quality liberal arts instruction and for providing flexible online programs. The school's bachelor of science in radiologic technology degree completion program prepares students to become leaders in healthcare. The program is offered completely online and provides multiple start dates throughout the year. The curriculum requires students to complete 60 credits of radiologic technology courses; the liberal arts core requires 45 credits. Marian University is accredited by the Higher Learning Commission. In order to be considered for this online radiology degree, students need to have obtained accreditation in radiographics. Available online minors include business administration and information technology. Weber State University, located in Ogden, Utah, offers a variety of online programs for distance learners. The school's bachelor of science in radiologic science is well regarded. Weber State University is accredited by the Northwest Commission on Colleges and Universities. Students who already hold radiologic certification may be awarded credit. Concentrations include nuclear medicine, radiation therapy, advanced radiologic sciences, and diagnostic medical sonography. The nuclear medicine concentration teaches students how to use detectors that are interfaced with computerized imaging systems. Learners in the radiation therapy concentration learn how to administer targeted doses of radiation into a patient's body. Students receive a foundation in patient care, radiation biology, pathopsychology, and medical imaging evaluation. Students can choose more than one concentration. This is among online radiology bachelor's degree programs that prepare graduates for careers in healthcare facilities, research, health services administration, commercial applications, marketing and sales, and more. Radiologic technology uses complex medical imaging tools to diagnose diseases and internal injuries. Interventional radiology uses medical imaging to guide the actual treatment of ailments. Curricula of online radiology bachelor degree programs cover procedural knowledge necessary to operate these medical imaging tools, as well as human anatomy, business management, and the ethical standards that underpin careers in healthcare. Computed tomography (CT) is a form of medical imaging that takes detailed scans of the inside of the body and can diagnose various forms of cancer. Online bachelor's of radiologic sciences degrees often offer a CT concentration option to provide students with the procedural and anatomical knowledge and ethical understanding needed to pass the American Registry of Radiologic Technologists (ARRT) CT certification exam. Magnetic resonance imaging (MRI) utilizes radio waves, a magnetic field, and a computer to produce detailed images of specific structures within the body. MRI concentration options are common in online bachelor's of radiologic science degrees and prepare graduates for the American Registry of Radiologic Technologist's MRI certification exam. Online radiology degree programs often offer courses in health administration and management to prepare working radiographers for managerial positions in healthcare. Online radiology bachelor's degree programs are designed for two types of students: those who are pursuing a career in radiology or those who already possess certification from the ARRT or an associate degree in radiologic science and want to further their education with specified certification that requires a bachelor's degree. Some schools cater to one type of student or offer only a completion program. The most common accrediting institution for programs in radiology degrees is the Joint Review Committee of Education in Radiologic Technology (JRCERT). The JRCERT approves the credentials of educational institutions to ensure they prepare students for the ARRT exams and for real-world situations. An online bachelor's of science degree in radiologic science often requires prior radiologic science certification from the ARRT. Six U.S. agencies award regional accreditation, the most common and prestigious type of accreditation. Regionally accredited institutions typically do not accept transfer credit from nationally accredited schools. The Department of Education provides a comprehensive list of accredited institutions on its website. Graduates of online radiology bachelor's degree programs specialize in areas such as MRI, CT, and mammography. The duty of radiologic technologists to create a good atmosphere for patients is obvious in the ARRT's emphasis on ethics in radiologic science. Graduates with a well-rounded bachelor's in radiology technology become integral contributors to an atmosphere of compassionate, quality patient care. Radiologic and MRI Technologists use medical imaging technology during diagnostic examinations. On average, specialized MRI technologists earn slightly more than radiologic technologists. More than half of technologists work in hospitals. Nuclear Medicine Technologists operate imaging equipment and prepare and administer radioactive drugs to patients during diagnostic examinations. The majority of nuclear medicine technologists work in hospitals. Diagnostic Sonographers and Cardiovascular Technologists work in interventional radiology. They operate special medical imaging equipment and assist surgeons with treatment, using instruments to repair veins and other small structures. This occupation is projected to grow especially quickly; BLS projects a 24% growth from 2014 to 2024. Radiation Therapists administer radiation-based cancer treatments. These therapists generally work full-time in hospitals and outpatient centers. Medical and Health Services Managers direct, coordinate, and plan for healthcare facilities. Experienced radiologic science professionals often rise to administrative positions. In the field of radiologic science, professionals with greater levels of specialization typically earn more. Therefore, the most valuable programs provide both procedural knowledge and flexible curricula. Radiologic technology students have access to an abundance of college grant opportunities for allied health learners. Check the index of relevant institutions from the Radiological Society of North America for more information. To determine your eligibility for federal aid, complete the Free Application for Federal Student Aid, or FAFSA. Submitting your information online at FAFSA.gov will speed the process; mailing a paper application takes up to a week longer.